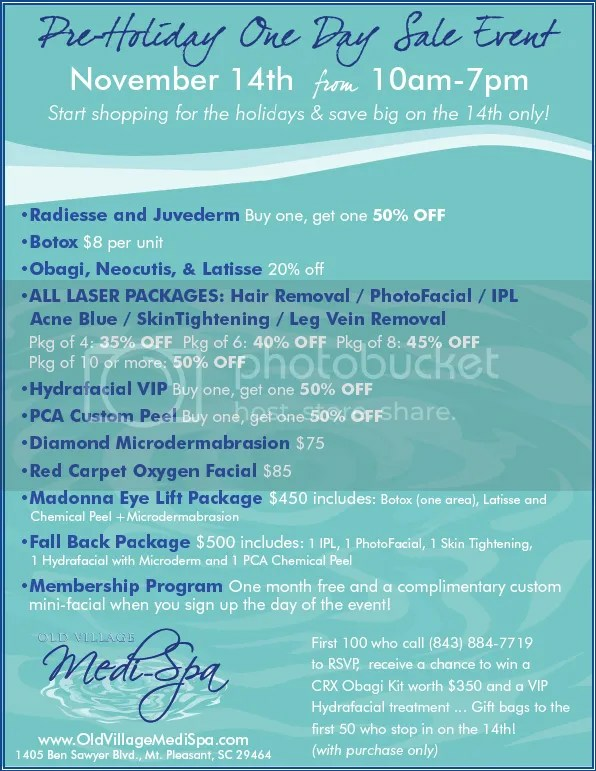 This entry was posted on November 6, 2012 at 6:55 pm and is filed under Sales & Events with tags Charleston, charleston botox, charleston events, charleston facial, charleston laser, charleston microdermabrasion, charleston obagi, dr. blalock, Mount Pleasant, old village medispa, One Day Spa Sale, spa mount pleasant. You can follow any responses to this entry through the RSS 2.0 feed. You can leave a response, or trackback from your own site.